Should Pep Boys rename itself Manny, Moe, Jack & Carl? 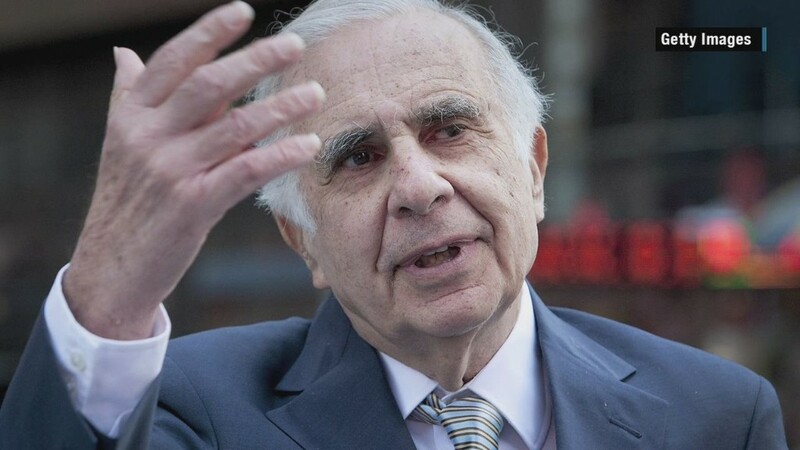 The auto parts store chain announced Wednesday that it had agreed to be taken over by Carl Icahn, the legendary activist investor. Icahn first disclosed a 12% stake in Pep Boys (PBY) last week and then offered to buy the chain for $863 million, or $15.50 a share, this week. The acquisition makes strategic sense for Icahn, who also owns rival parts retailer Auto Plus. His Icahn Enterprises (IEP) investment firm owns an 82% stake in parts maker Federal-Mogul (FDML) as well. So this story is over, right? Not so fast. Icahn's offer trumps (pardon my use of Icahn's preferred presidential candidate as a verb) a previous bid for Pep Boys by Japanese tire company Bridgestone (BRDCY). Bridgestone offered to buy Pep Boys in October for $835 million, or $15 a share. It would have merged Pep Boys with its U.S. operations, which runs the Firestone Complete Auto Care chain as well as some other parts retailers. Pep Boys said Wednesday that it had deemed Icahn's offer to be superior -- which makes sense. Math is math after all. But Pep Boys also gave Bridgestone until 5pm EST on December 11 to come back with another bid. So Icahn hasn't won just yet. And investors seem to think that Bridgestone will raise its offer. Shares of Pep Boys are currently trading around $16.25 -- above Icahn's purchase price. The only reason for the stock to be higher than $15.50 is because the market expects Bridgestone to top Icahn. A bidding war would be good for long-term Pep Boys shareholders. Although the stock has soared this year on takeover hopes, shares are up less than 20% over the past five years. That's pretty lousy given how much the market has surged. The company's sales have been stagnant and Pep Boys has lagged bigger rivals such as AutoZone (AZO), O'Reilly (ORLY)and Genuine Parts (GPC). Bridgestone said Wednesday that it continued to believe the Pep Boys deal would be good for employees and customers of both firms. But it didn't indicate whether it planned to make a new offer or walk away. "Any further decisions will be made based on what continues to make business and financial sense for Bridgestone and aligns with our long-term growth strategy," the company said. Stay tuned. It will be very interesting to see if Bridgestone decides to do battle with Icahn.